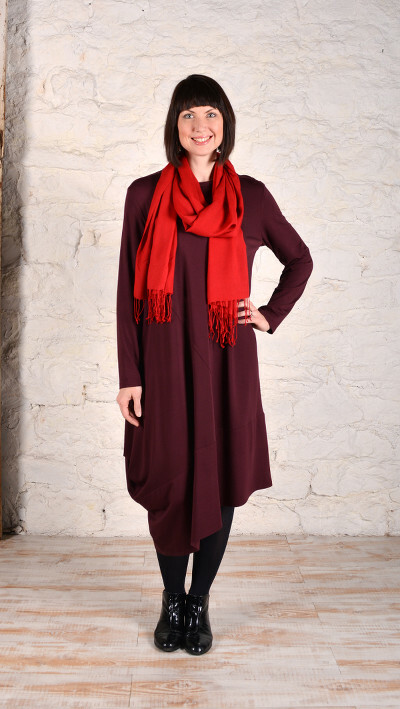 The Bristol Dress: Bell-shape, knee-length dress which has a front and back yoke and long sleeves with cuff. Front wraps to back and stitched to inverted V-shape back panel. Wide bottom bands. The Bristol Top: A below-waist version of the dress. 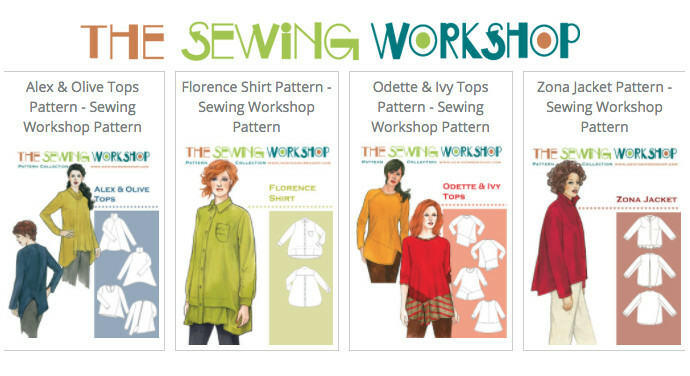 Fabrics: Light Weight to Medium Weight Knit, 2 or 4 way stretch. 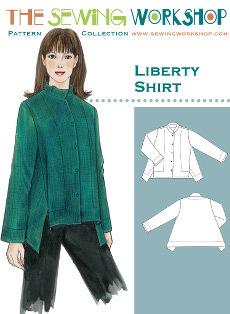 Liberty Shirt: Shirt or jacket has diagonal side seams angled to the front, soft stand-up collar, and set-in sleeves with vent openings. Asymmetric front and back deep hems with mitered corners. Front topstitching detail and five-button closure. 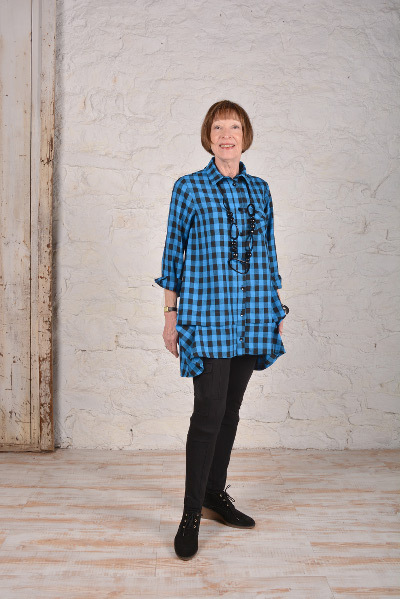 The Liberty Shirt also makes a great knit pullover or tunic! 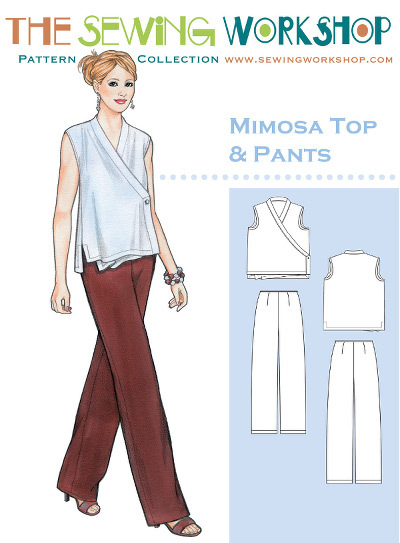 Sleeveless wrap top or vest has V-neck with front and side bands and asymmetric side button closures. Straight-legged pants with contour waist and facing (sits 1" below waist), front and back darts and side zipper. Lining optional. Fabrics (Top): Linen, Silk, Cotton, Light Weight Wool, Velvet. 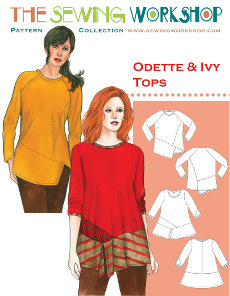 Odette: Pieced top has right front dart and left princess seam, side front and back panels, tapered peplum. Long sleeves have shoulder darts. Neck binding and stitched hems. 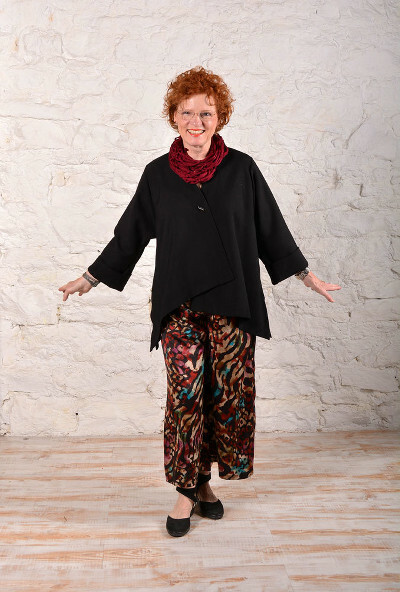 Ivy: Swing tunic has front and sleeve insertions, diagonal skirt panels. 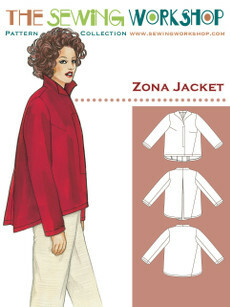 Neck and sleeve bindings, three-quarter length sleeves, stitched hems. 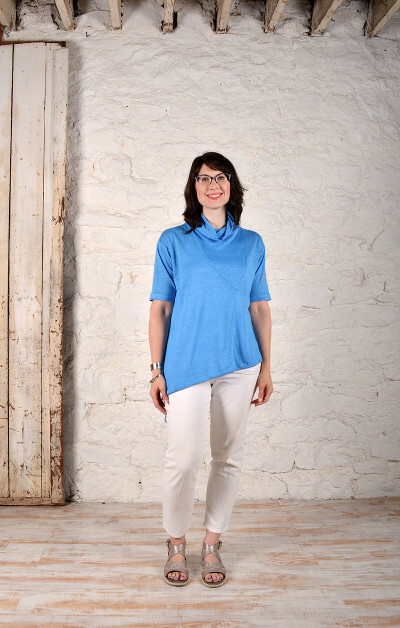 Alex: Cowl-collar knit pullover with inset A-line front, gathers at center back neckline. Curved sides extended to mid-thigh. Long sleeves. 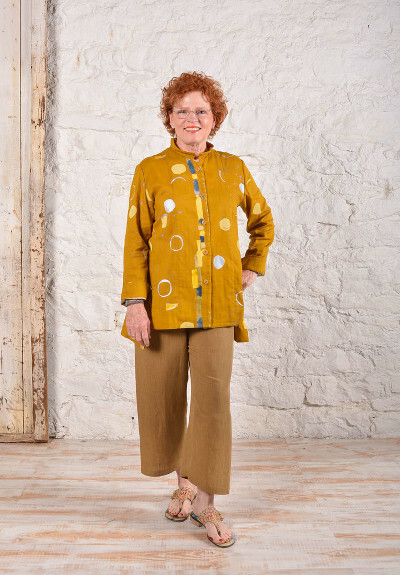 Ann's Cardigan: Open cardigan with cascading panels and fold-back front band, front and back waist seams, long sleeves and stitched hems. Wrong side of fabric will show. Tank: Scoop-neck tank with shaped waist, winged side vents, unfinished neck, armhole and hem edges. 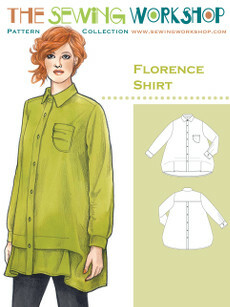 Florence Shirt: Long sleeve, button front tunic has back yoke with mock button band, collar and stand. Pleated left breast pocket, deep center front tucks create lantern shape, soft hem. Fabrics: Light Weight to Medium Weight, Shirt Weight Linen, Cotton, Silk, Rayon. 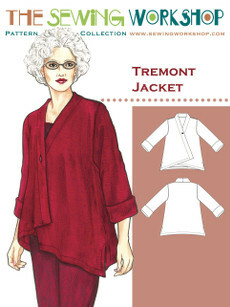 Tremont Jacket: Loose-fitting, a-line jacket with one-button closure, asymmetric, angled front hemline with side vents. 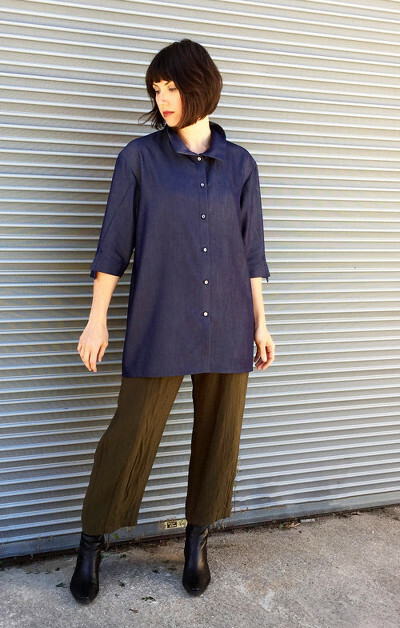 Three-quarter sleeves with soft-fold cuff detail. Fabrics: Light to Medium Weight Wool Cotton, Knit, Linen, Silk, Wool Crepe, Corduroy, Novelty Weaves, Boucle, Boiled Wool. 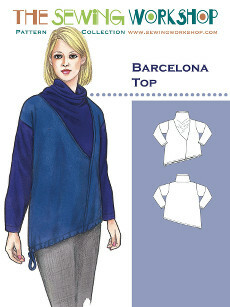 Barcelona Top: Relaxed fit, hip length pullover has asymmetric cowl, diagonal hem shape with casing and drawstring and long sleeves. Double or single layer cowl options. Wrong side of fabric will show with single layer cowl. 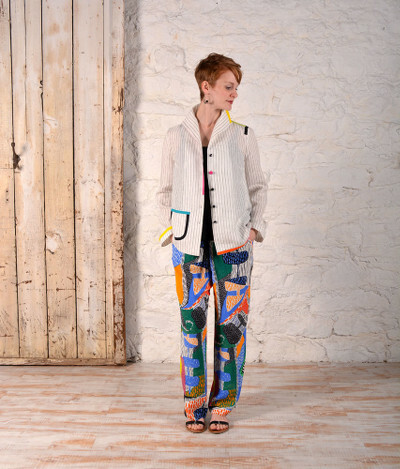 Fabrics: Light to Medium Weight 2 or 4-way Stretch Knits or Woven fronts and back with Knit cowl and sleeves. 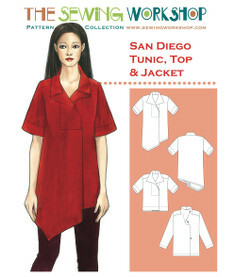 San Diego Tunic: Loose-fitting tunic has faced overlapping front placket extending into deep front pleat, forward shoulders, angled hem and elbow-length sleeves with deep stitched hems. 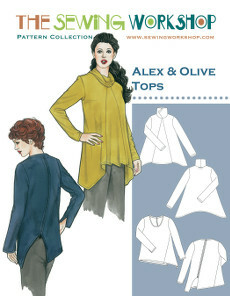 Top: Hip-length top with tunic details. Straight hem with side vents. 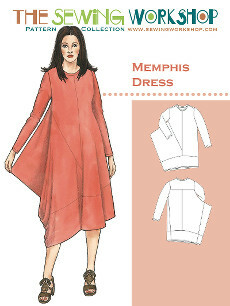 Memphis Dress: Relaxed fit dress has asymmetric side flare, deep bottom band, back yoke with center back seam, long tapered sleeves and narrow hems. Fabrics: Light to medium-weight knits. 2 or 4-way stretch. 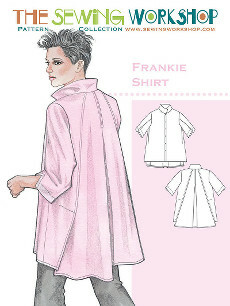 Frankie Shirt: A-line, six-button shirt with underarm dart, back inverted pleat, diagonal back seams with vent openings, and stand up or turn down collar. 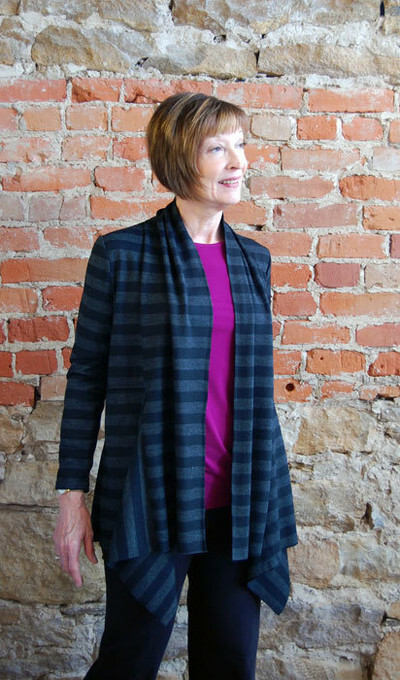 Three-quarter length sleeves with diagonal seams and asymmetric vents. Offset bottom hems. Fabrics: Light Weight to Medium Weight, Shirt Weight Linen, Cotton, Silk. T-Shirt: Shaped t-shirt has three-quarter length raglan sleeves, narrow neck binding and double stitched hems. Top: Easy fit, sleeveless short top or jacket has inset back yoke with eased seam, small tailored collar and neck band, and eight-button front closure.